Here at Calxa it is in our blood to be continuously improving what we do, which means we know we have a product that is one of the best out there. We love what we do and we are delighted to have been named by Insights Success Magazine as One of the Best in Class Budgeting and Forecasting Solution Providers of 2018 in the December issue. This issue is all about Financial Performance and Budget Forecasting, with Calxa mentioned in the foreword as one of the distinguished organisations that excels in budgeting and forecasting solutions for Not-for-Profits, small businesses and accountants. The article also mentions how we provide the best solutions for our customers with automated reports, excellent customer service and easy to use reports. 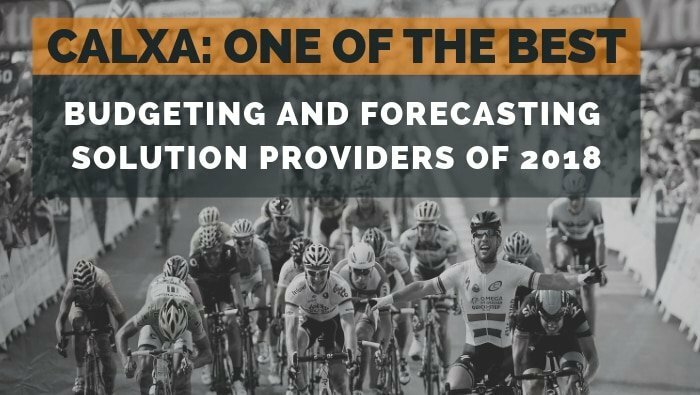 We were one of the best for budgeting and forecasting in 2018 and we intend on being even better in 2019. Moving forward into 2019, we will continue to improve and provide solutions that will transform the way that Accountants, Bookkeepers, Small Business Owners and Not-for-Profits report on their financial data. We will build our product further to make it even more useful to our customers and integral to making their businesses and organisations a success.